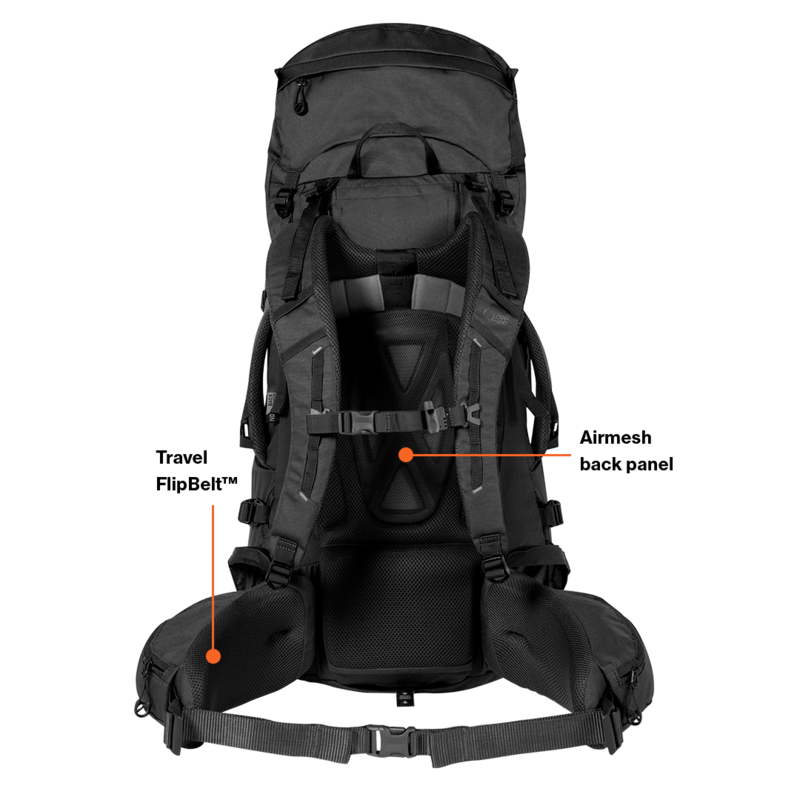 The perfect partner for adventure travel, the Kulu 55:65 is a spacious backpacking pack with patented FlipBelt™ technology designed to ease the stress of transit. All the kudos of a backpack combined with a set of travel specific features, the Kulu is our ultimate backpacking pack designed for travel to remote locations where wheeled luggage won’t go. Available in two sizes with adjustable back length and AirMesh carry system, the Kulu 55:65 offers a supportive and comfortable carry. With plenty of space and pockets for your gear, the Kulu 55:65 features a large zippered front panel for easy access on the go, plus a lower entry with a zipped divider to keep your kit separate. Essentials stay close to hand with hip belt pockets, while a secure internal lid zipped pocket keeps valuables safely stashed.